I looked around to see if this has been discussed, but didn't find anything. Anyone else hate these as much as I do? I would just avoid them altogether, but my little girl loves the animal sets, but she too has no use for the doll-like minifigures that come in the Friends and Princess sets. If she wants to play with dolls, she plays with dolls. For Lego play, she likes the classic minifigures. It drives me crazy because besides the minifigures, the rest of the Friends sets go together just fine with the City / Superhero / Star Wars sets that me and the boy play with. Ok, maybe not seamlessly, but we all have pretty good imaginations. The Friends minifigures ruin it all. They don't fit into other vehicles, tower over normal minifigures, have stupid hair pieces that fall off too easily, etc. etc. Right now we just pretend they are evil alien super villains. I do wish my daughter and all the other little girls out there could get some girl minifigures that weren't dumbed down versions of dolls. Am I missing something? Anyone else see any redeeming qualities here? Any chance they will go away forever? The redeeming quality is they have proven to be more popular overall than minifigures with girls . My daughter didn't take to minifigures at all but loves playing with the minidolls. As for sizing, it just takes a few tweaks & the minidolls fit into the vehicles. I must have been searching the wrong terms. Mods, feel free to merge. Maybe my daughter will grow into them. Right now she thinks they are super lame. She may not, possibly because there's two others of you playing with the minifigs. Some people love them, some hate them with a passion. My own take is that while I'd have preferred my daughter to go for Star Wars minifigs, she's gone for the minidolls & so I indulge her. I'm more about the build anyway & the Friends line is good for that. @monstblitz There was a long discussion about them somewhere. Some like them, some hate them, I'm right there with ya. My kids don't like them either, thank goodness. My daughter loves them too. One of my little girls calls playing Lego "Playing Azari" because she loves the elves so much. My little girl loves them too. My niece will not play Lego with mini figures, but give her a Friends set and she'll build it and play with the minidolls and the set. We've even switched minifigs out of new sets and replaced them with dolls and she plays with them. I hope they continue to broaden the range of bodies to include fire, police, etc to make them more compatible with run of the mill city sets. 1. Why do they not have anti studs on the back of the legs so they can sit on stuff and stay there? 2. Why do they not have rotating hands? Step backwards alert! 3. Why do all the hair pieces have to have holes in? Lots of these look great on standard minifigs (and in my experience fit well) but the holes make them look a bit ugly. I don't see them as a bad thing and we play with them in our house (I have two boys). ^^ The holes are for bows and such. I agree with these two points, the 3rd I don't mind the holes in the hair pieces, I don't think they are that visible and add the additional connection point. ^The back and sides ones on dark hair I can live with. The ones in the top of light hair are so obvious, and although it is a nice connection point, the limited amount of options of pieces that fit makes it a bit.. well.. meh. I'd rather have hard rather than soft hairpieces too, I guess there is some reason for the soft hair. I find them harder to put on than hard ones. @CCC I believe the soft hairpieces are used to grab the hair accessories better - they used a soft hair piece for the princess in 70403: Dragon Mountain and the only reason I could see that compared to any other standard mini figure is the crown/tiara piece. Just my speculation though. I meant just regarding the friends hairpieces that are also made (or have been made) in the standard plastic - the example I gave is actually one of those available in both types of plastic. I know the choice for soft plastic with some parts is a safety choice (some pointy parts etc) but also vaguely remember being told that the rubbery plastic is more expensive, but don't ever remember a good source to back that up. Sounds like it's kind of split down the middle on these. I guess the other thing that bugs me about it is it also in some weird way cheapens the Lego Universe for me. 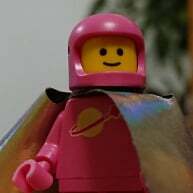 If you consider it one big Lego world, how come Friends minifigures look the way they do? How do I explain that to 2 kids under 5? This is going to be worse than the birds and the bees discussion! Right now evil race of space aliens is the best I can do. Looks like we're stuck with them so I guess I better get used to it. Do kids really question how toys of different scales fit together? I'm pretty sure I used to play with toys that were in different scales (much further out than minidoll/minifigure) without seeing it as a problem. I would agree with Shib on the on those two points re the anti studs on the legs and the rotating hands. Otherwise I have come to enjoy mini dolls as well exclusively in the Elves line to this point. My kids use playmobil characters in their Lego creations too. I don't think kids need to have an explanation as to why one might look different to another. So long as they enjoy playing with them. No, they definitely don't. It only bugs me. I was being tongue in cheek with the birds and the bees comment. For the kids it's just a matter of they like the minifigures much more than the minidolls. 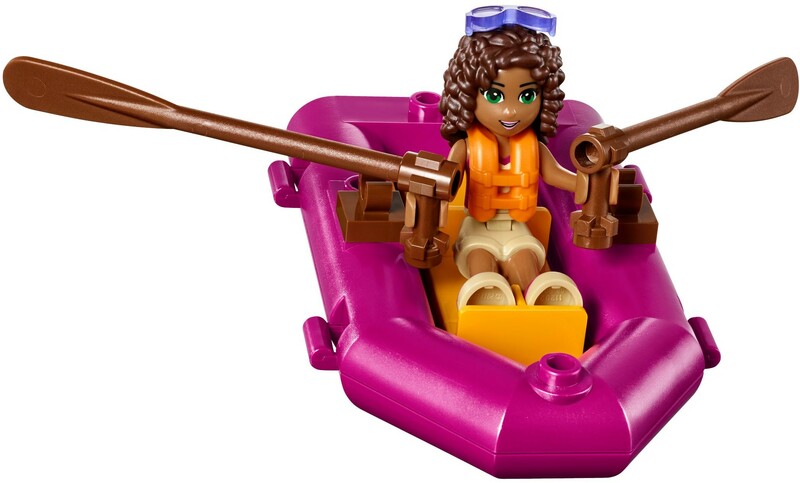 Making myself look odd by quoting myself, but on this point I noticed that the Friends Adventure Camp sub theme has some minidoll life jacket pieces (as seen in this image) so I think there is potential for Elves to add some kind of minidoll armour, though it's probably relatively unlikely. I love 'em. They manage to achieve a level of detail and realism that just isn't possible with the regular chunky minifigures. And while I understand the reasons, I'm a little bit frustrated that they're limited to girl-oriented themes, both because they'd have a lot of potential in an anime-inspired mecha theme like Exo-Force and because unfortunately I imagine it'll be a long time before I see a mini-doll face suitable for an alternate sigfig for me (with blue eyes, glasses, and a short beard). Might end up just having to customize one. That's not to say I don't like classic minifigures. But they're not as flawless as people make them out to be. It's very difficult to fit two minifigures side-by-side in a six-module-wide vehicle, but with mini-dolls it's easy. Mini-dolls allow a theme to use human-like characters in their promotional art without such a huge dissonance between the art and the actual figures (like there was with Exo-Force). Mini-dolls can sit while wearing skirts, which is not really possible with minifigures that wear fabric skirts. Mini-dolls have more detailed faces than minifigures, and can have more detailed shoes than minifigures because their feet aren't so stubby. Overall, I think the themes that currently use mini-dolls are better that way than with traditional minifigures. 1. Probably because it would cut down on the level of realism to make the legs that wide (and the holes would also make the figures look more mechanical). 2. 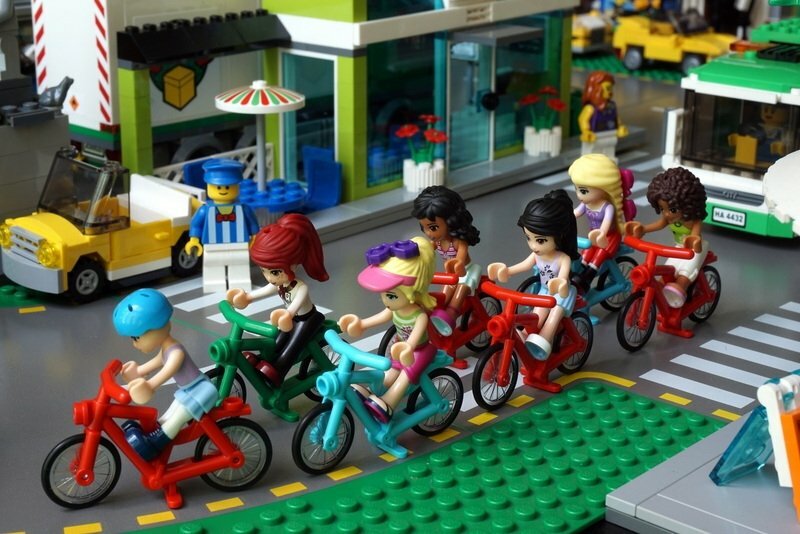 Astrid Graabæk and Fenella Holden (two LEGO Friends designers) did a presentation at BrickFair Virginia back in 2012 and answered that exact question. They actually DID test a version of the mini-doll with rotating hands, but girls didn't like them because it looked like they were constantly wearing long, puffy sleeves (note that a lot of the LEGO Friends and LEGO Elves outfits are sleeveless or have short sleeves). 3. As AllBrick points out, the holes in the hair are for accessories. Realism seems to be why some like them, and I think it's a big part of why I hate them. I don't want realism in my Lego. That's the charm of it. To me, Lego is a blocky, cube based world that the minifigures fit perfectly into. The mini dolls stick out like a sore thumb, IMHO. Aanchir said: 2. Astrid Graabæk and Fenella Holden (two LEGO Friends designers) did a presentation at BrickFair Virginia back in 2012 and answered that exact question. They actually DID test a version of the mini-doll with rotating hands, but girls didn't like them because it looked like they were constantly wearing long, puffy sleeves (note that a lot of the LEGO Friends and LEGO Elves outfits are sleeveless or have short sleeves). Interesting and thanks for the info. I would have thought it would allow for more playability if they had hands that could rotate. Apparently not an issue in the eyes of a child. It certainly limits poseability but children aren't likely so concerned with that. 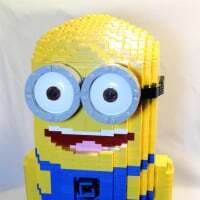 You should consider Bricklinking the Minidolls. They go for a decent amount. My daughter plays with both Minifigures and Minidolls but definitely wants all of the Princesses and Friends, so I have been pricing buying them individually, and they seem to cost $7-$8 with the rarer ones more around $11-12. you could buy a lot of extra sets with minifigures with that cash. Personally, this is one of my favorite articles on the change related to Friends. It really highlights some of the changes that many consumers do not notice. In in regards to the minifig versus minidoll, Lego did the same research they did years earlier for boys, but this time for girls. They knew very quickly that for many girls, there are issues with the minifig, and they needed to change it up. They saw that often for girls, the character became an avatar for girls, while often boys use the character as a 3rd person representation in their play. In addition, they saw that there was a certain aesthetic sense, or sense of harmony that girls wanted that was not seen in the boys' play they had studied. All of this together really led to a character that was more detailed, more lifelike, and more representative of an avatar. The entire line shows this avatar aspect as well, in that these are Friends one has. Even when not used as an avatar, the minidoll is still going to be more aesthetically pleasing to many. The thing is the minidoll is not there to appeal to adults, the minidoll is there to appeal to the market they are going after...a market that they had failed multiple time to accurately assess and engage. I think the soft hair they are able to make more detailed. My kids like both minifigs and dolls, but they also feel the minidoll said are more realistic. Hands, not 'claws', a body instead of a blocky look. While some may not like the realism, it plays into the hands of kids using them as avatars. Why are you calling them aliens? Why not simply explain that Lego decided to try different characters, that there are pros and cons to both, and different people like different figures. Because it's fun that way. We don't like them, so we have created a world where the mini dolls are the villains. I can see from the discussion a lot of girls enjoy them, and it looks like Lego did their homework. Personally we don't like them, but we will just work around them. I should point out my kids are very young. My daughter is only 2, but pretty advanced for her age. My son is 3 1/2. She loves dolls, but like I said, if she wants to play with dolls, she has a whole collection. I don't think she looks to get that kind of play from Lego. It will be interesting to see if this changes as she gets older. I look at it as options and a wider market for Lego. Looking forward to the DC line of mini-dolls. I just hope they don't make the Disney CMFs look bad. In my collection, they're a different race; like elves/fairy folk. I bet Legolas and his kin would look good as minidolls. They could easily be aliens due to the shape of their heads. I don't dislike the dolls and, I imagine that they don't have anti studs and rotating hands because dolls don't behave in that way. Dolls are placed at the table for tea parties etc etc. Minifigs are part of the Lego system and therefore have the anti studs etc. The hair pieces and crash helmets work well on some MFs and the sets are worth buying just for certain elements. I will be using the dolls to recoup some much needed dosh. Sorry girls, you'll find a better home soon. That actually works a lot better than I would've thought! That's pretty risky for Rapunzel to ride a bike. I'd hate to untangle that mess! That milkman looking minifig might be smiling, but he's really thinking, "ALIENS!!!! TWIGGY WEIRD GIANTS!! Call in the National Guard!!!"